The Circe Helios is well known for its easy transportability, but how about packing a tandem into two 70 x 60 x 20cm bags, each weighing just under 10kg? Even better, and saving packing and re-construction time, the rear wheel and transmission can stay in place. 1. 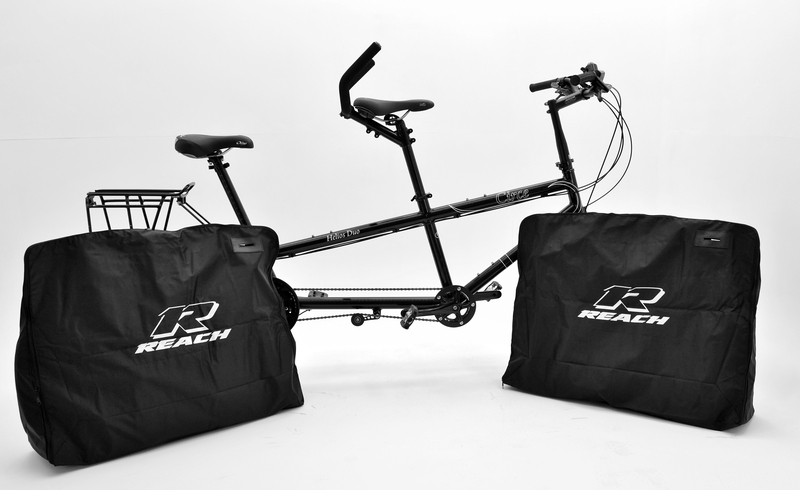 Each bag weighs under 10kg, which, with two riders, is very manageable. 2. 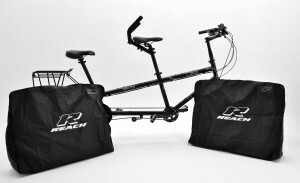 The packed size is compact and, as with the weight, much more manageable than a one bag or case pack. 3. The rear wheel, transmission and brakes can stay in place. This makes for a much easier and quicker pack and reconstruction.